In the midst of all the things going on in the previous post, we've still be finding time to wrap up some (unnecessary but totally fun) projects around the condo. We had some left over money at Ikea, so we decided to pick up this sofa table for the back side of our sofa (hence why it's called a sofa table). Kyle got to put on his Ikea thinking cap one more time and put it together. Once it was put together, I immediatelty felt the need to start placing things in it/on it/near it. I found that the fabric boxes I got at Target fit perfectly (without a centimeter to spare) into the cubbies on the bottom. We put our wine in the third cubby, and our (small but growing) recipe book collection in the fourth cubby. I also found that the four salad bowls that were hogging room in my kitchen fit perfectly in the small cubbies above the big cubbies. Score! Our sofa's new best friend. 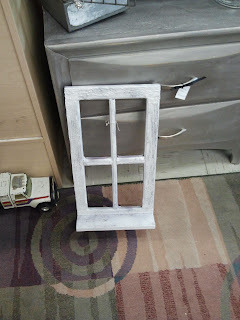 For the top of the sofa table, I had a vision of frames. Kyle was a gem and picked out 5 "mismatching size" frames at Ikea. I was very impressed when he nailed the size selection I had in mind. I'd be wanting to somehow display the 5 solas in our home, and now we had the perfect place to do so! and then put them in the frames. Remember this post from our honeymoon? We picked up two tiny printing press letters at Nasty Jack's Antique Shop in La Conner, although I didn't know what I would do with them. One of the frames I had picked up at Good Will had a thicker ledge on it, and it turns out the letters fit perfectly on the ledge! I still secured them with wood glue, just in case. A few months ago my dad and I stopped in to an antique shop in Stanwood on the way home from one of my dress fitting with my grandma. 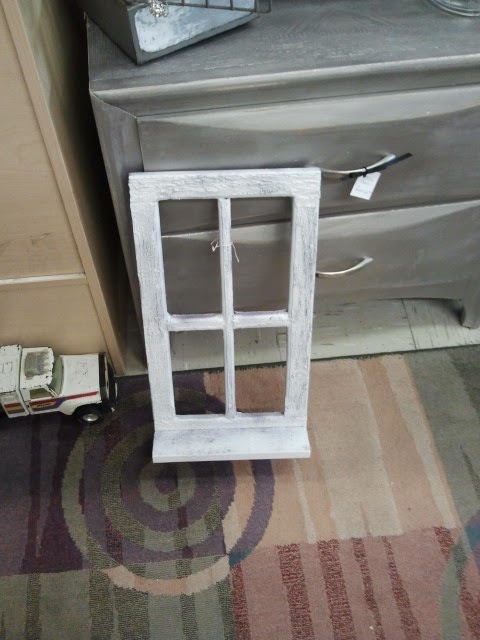 I found this awesome old window frame. eventually we will put a mirror on the back. 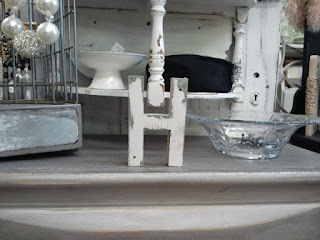 I also found this cute little letter H.
After seeing this post on Pinterest, I thought that mason jar soap dispensers would go really well with kinda-corny-but-really-cute Country Kitchen theme. piece for them. Bonus: I can use the soap too! Kyle drilled 3/4 inch holes in the top of the lids. underside of where the pump connects with the lids. This project took longer than I anticipated, but I am really (I mean really) happy with the outcome. Previously the back wall of our kitchen was blank and it needed something to add color to that part of the kitchen. We have an abundance of these wood Ikea mirrors (don't ask why, I just always think I need more when I don't and now we have an excess supply). I decided that I wanted to paint two of the mirrors blue and then "somehow" put a scripture verse on them. The painting part was easy...the scripture part was more tricky. to cover the mirror so it didn't get paint on it. what it's called or else I'd tell you the name). on in the the outline my painting had left. down, I saturated each one with more Modge Podge. show that the Modge Podge goes on white but dries clear. or whatever you do, do all to the Glory of God." The "last thing" (should have been the first thing!) I felt our living room needed was a cross. 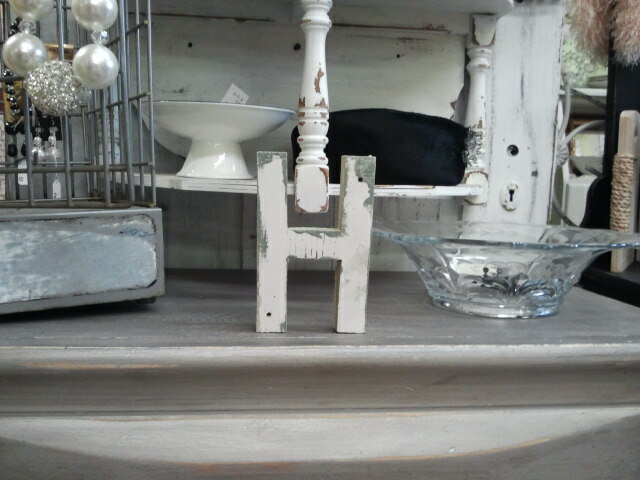 I couldn't find any that I liked in the store (what happened to all the plain crosses?). I did find the supplies needed to make my own cross at...you guessed it...Hobby Lobby. painted coral and put in our bedroom). I painted the big one white and the sides black. up the black...and then the white...). The smaller cross was painted grey with black sides. well, that seemed kind of morbid. So for now, it stays! Giving it grace: When I said goodbye to my cheerleading days in high school, I must have also said goodbye to my crafting/project days as well. During the last 10 years the urge to craft and make projects must have been swelling up inside me because I can't get enough of it lately! It's such a fun change from my normal routine of work-school-eat-sleep repeat. At first I felt "bad" for devoting so much time to "silly" things like crafting and other projects. I realized I was judging myself, because that's how I justified not making time for things like this the past 10 years. It's been a huge blessing to have the time and resources to "get back in touch" with this side of myself. I may not be good at it all, but I am learning a lot along the way, am having a lot of fun doing it (especially when the project involves Kyle), and am enjoying the results! I've pretty much wrapped up all of my immediate projects, and I do need to spend a littttttle more time thesis writing over the next 3 months...but hopefully there will be more projects in the future. I'm lovin' this crafty side of you that is braking out. I read somewhere that many of life's stresses and health problems are a result of repressed creativity. The act of making something gives you that instant jolt of satisfaction and worth. I also love the aqua paint - our living room was a similar color for years - it makes me happy. Glad you are enjoying feathering your new nest.